Shiny, bright red strawberries are not only a delicious treat but they are also a decorative plant that looks beautiful in the landscape. 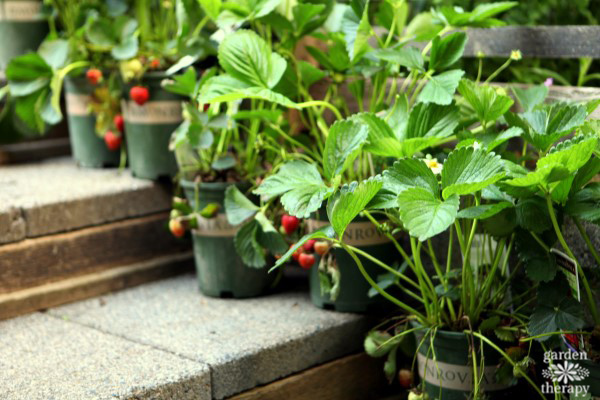 Low-growing plants dotted with white or pink flowers and brilliant berries can be used in a variety of small-space gardening solutions. 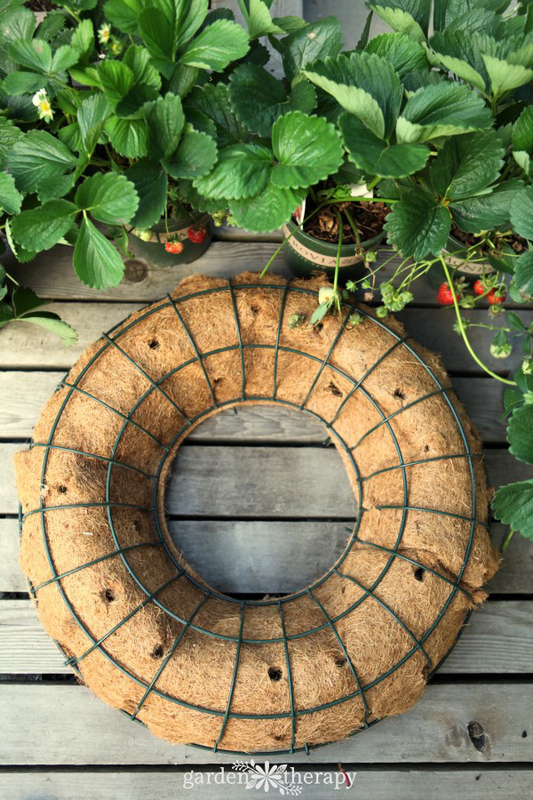 This living strawberry wreath is an art piece that is also a smart use of space. It is easy to put together and it will grow in more fully as the years go by. Strawberries are categorized into June-bearing and everbearing varieties. 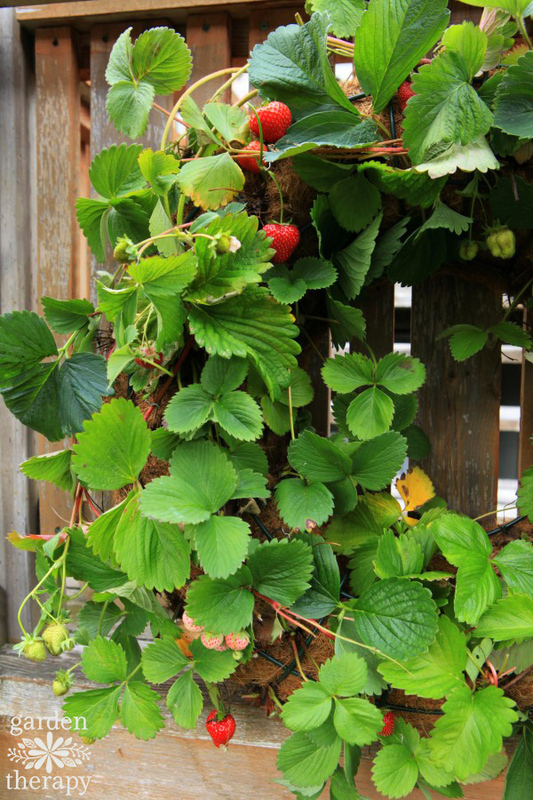 June-bearing strawberries will produce a large number of berries over about three weeks in the early summer. Everbearing strawberries will spread the berry production out over many months. For a wreath like this, everbearing plants will give the wreath a longer decorative appeal. The plants for this project were provided by Monrovia and divided from established plants in my garden. Thank you to both of them for the generosity! Albion Strawberry is high yielding, tolerates heat and humidity, and has excellent disease resistance. San Andreas Strawberry is similar to Albion and it produces high-quality fruit early in the season, and continues to yield throughout the summer. Seascape Strawberry is highly productive over a long season; it has large fruit, excellent flavor, and good disease resistance. Larger strawberry plants may overwhelm the small soil space for moisture and the leaves will quickly become unruly. 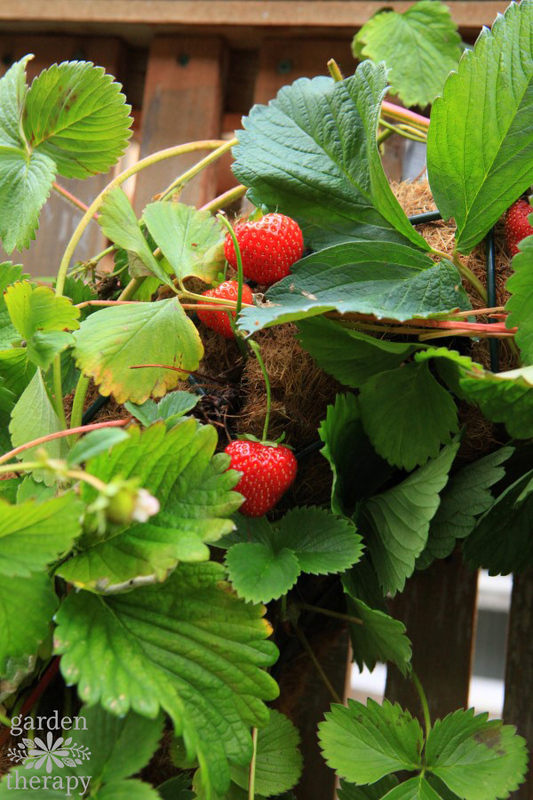 If you are using a smaller wreath form, choose low-growing or container plants, like Fern Strawberry. 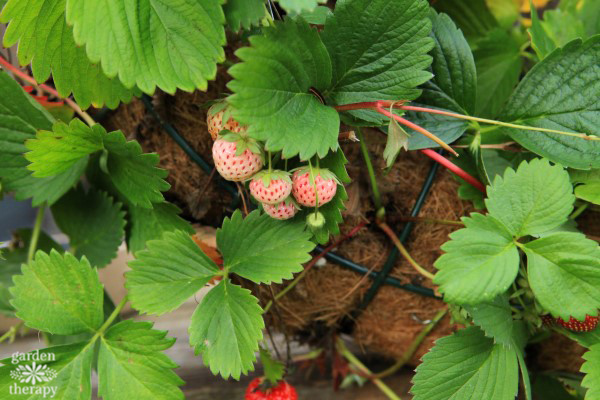 Choose decorative strawberry plants such as Toscana Strawberry, which has deep fuchsia pink flowers or Pineberries that has white fruit with red polka dots and taste like a cross between a strawberry and a pineapple. Use a wheelbarrow as your planting surface. The wheelbarrow will keep it at a good height for planting, but also allow you to water and tend to the wreath as the plants are adjusting to their new home. 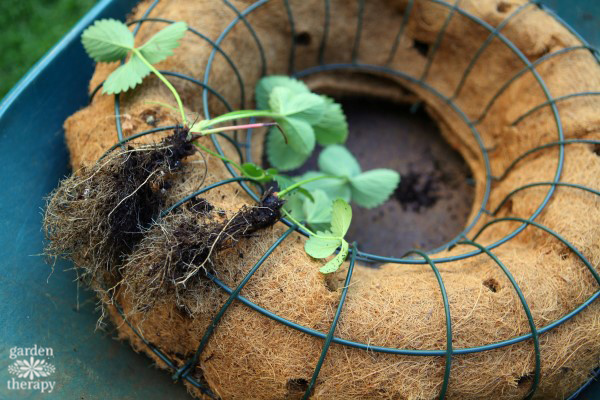 Open the wire wreath and add a container soil mix into the front of the form. Attach the back of the form on and flip the wreath over to begin planting. Use a soil knife to make the holes large enough to gently tuck the strawberry roots into the holes. Keep the holes small enough, however, that the plants do not fall out. Use florist pins as necessary to hold the plants in place. 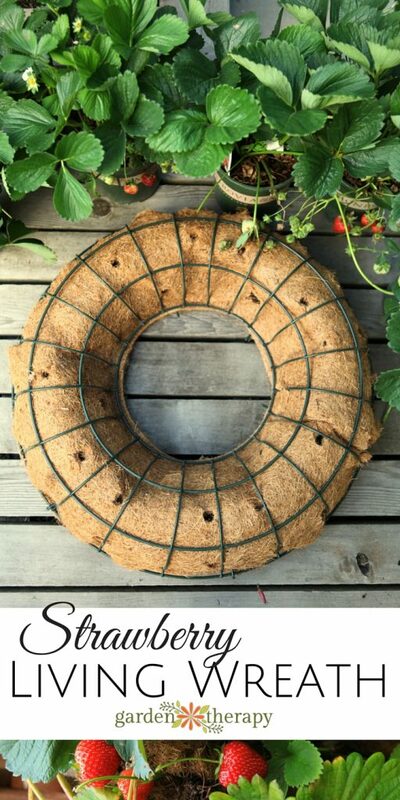 When all of the holes have been filled with berry plants, water the wreath well and leave it in a shaded space for a few days. After the plants have recovered from planting, move the wheelbarrow and wreath out to a sunny spot and water well. Keep watering and giving sun to the wreath until the berry plants take hold and start growing new leaves. 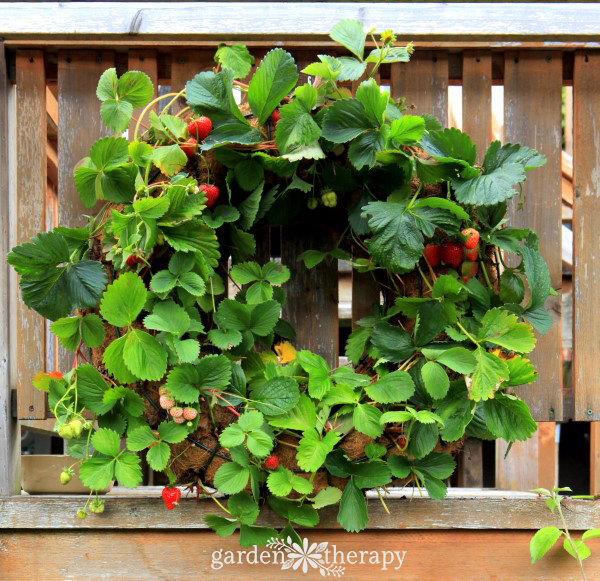 Use florist pins to tuck in any disorganized leaves and hold up heavy clusters of berries. 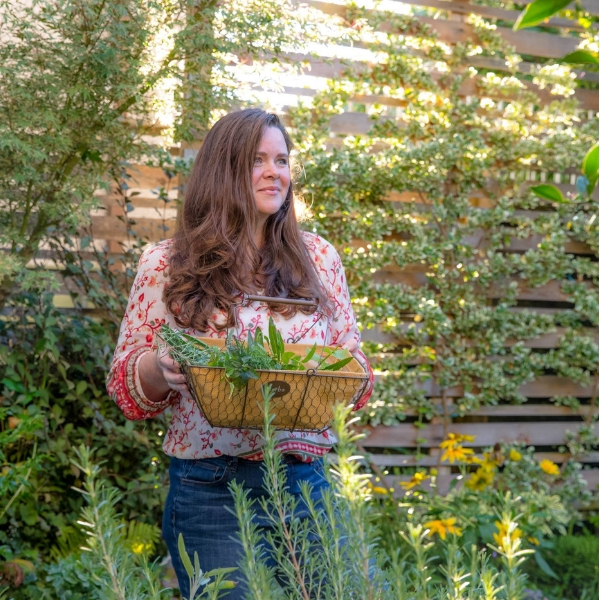 Continue pruning, pinning, and watering your wreath throughout the summer months. 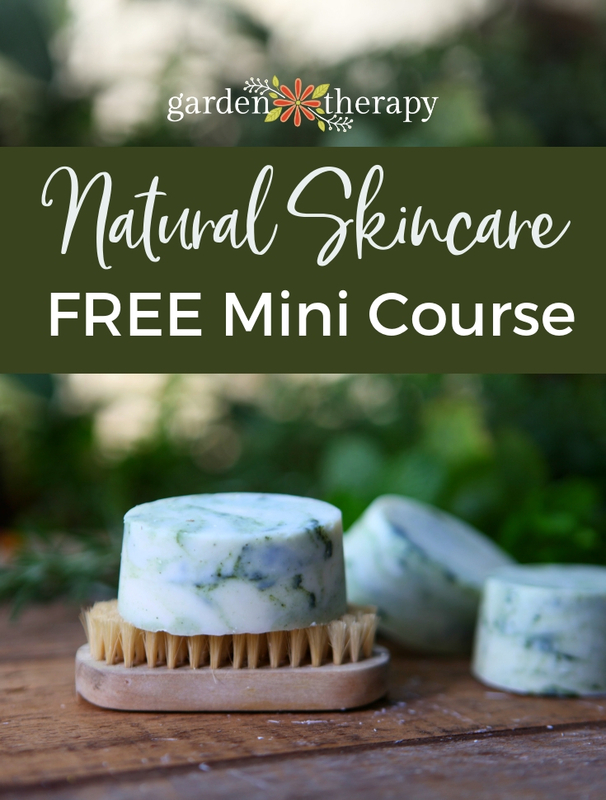 Don’t worry, this will take all of 5 minutes a week and you can do it while you are harvesting berries. 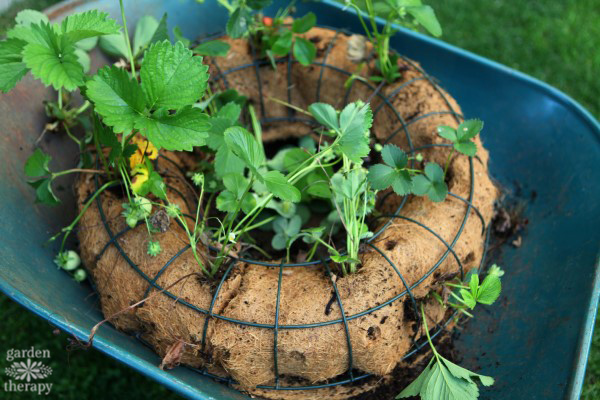 Plant the wreath with young or bare root plants in the early spring of the first year. As the plants grow, keep the leaves close to the frame using florist pins. As the season goes on, harvest berries, prune browning leaves, and tuck runners into spaces around the wreath. Take the wreath down to water it once a week at least. 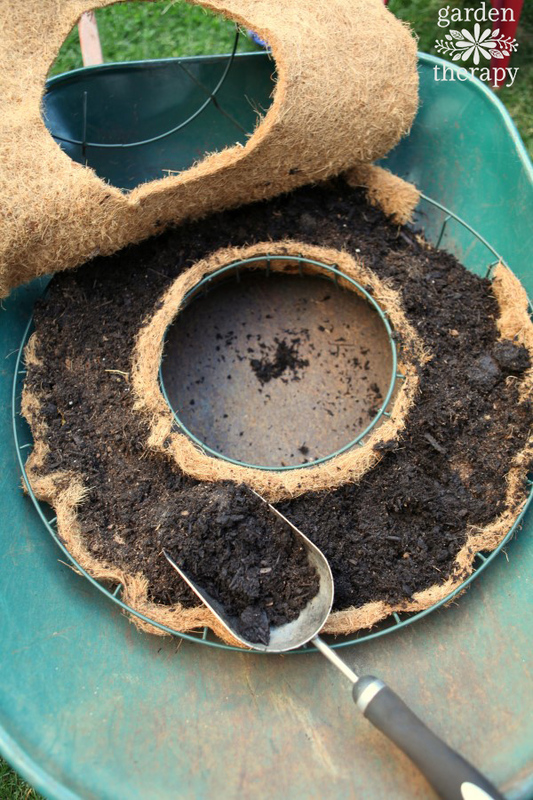 Soak the soil and wreath liner well, and leave it down for an hour before hanging it up for display again. 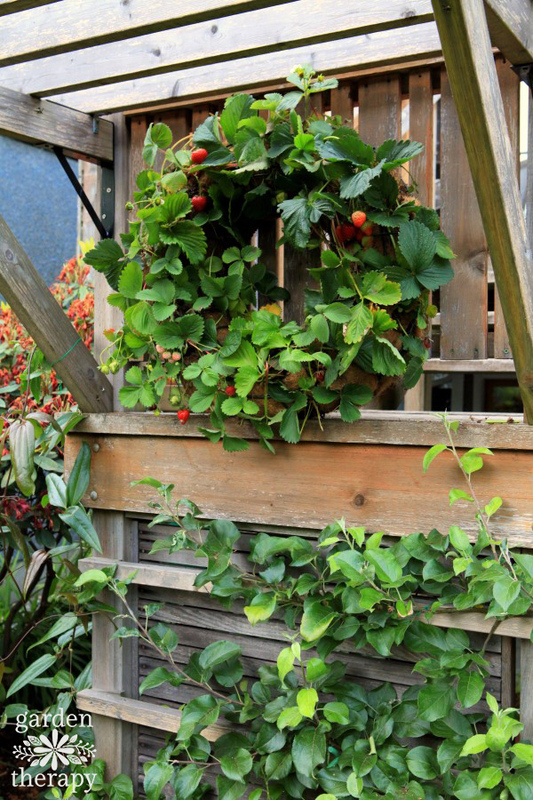 Strawberry plants will only produce well for about three years. If you continue to add the runners into new holes around the wreath form, this wreath will look beautiful and produce for many years to come. Overwinter the wreath in a cool, dry spot in the garage or under cover. The following spring, prune back the brown leaves and runners leaving plenty of space for the new growth to appear. Feed the wreath in the spring with a well-balanced organic fertilizer. This is so pretty! I love everything about it! Thank you for sharing at Dream. Create. Inspire. Link! Pinning! Wow, not only is this a beautiful reef, but it’s also a yummy and creative one. I will give this one a try. Thanks for sharing.